□ LASSHO was established in 2000. 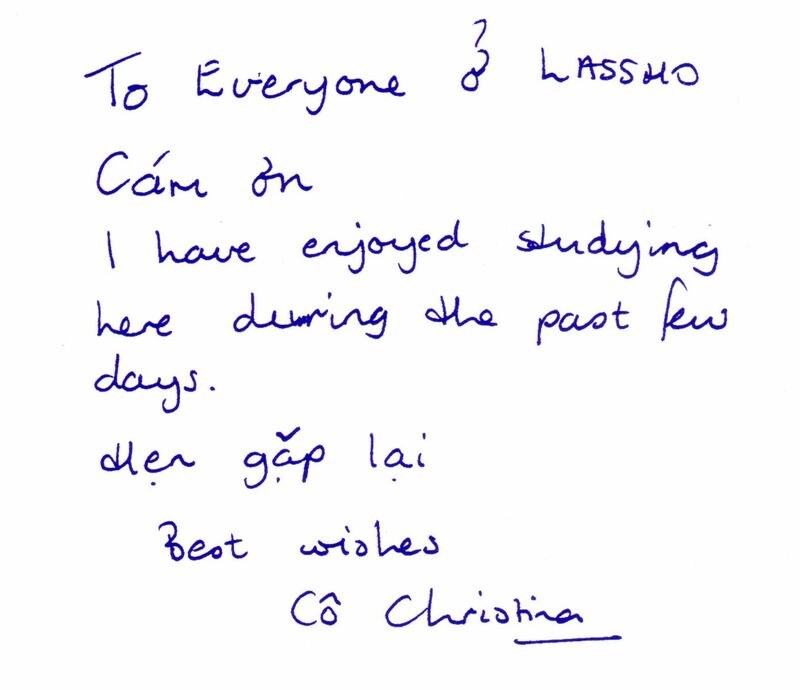 □ We have had students from all over the world. □ We can teach you how to pronounce Vietnamese accurately. □ A student can speak Vietnamese confidently after 50-hour course. □ Our team of professional and experienced teachers are ready to help you. □ Learning Vietnamese will enrich your life in Vietnam. We look forward to …………..
research with different levels from elementary to advanced. 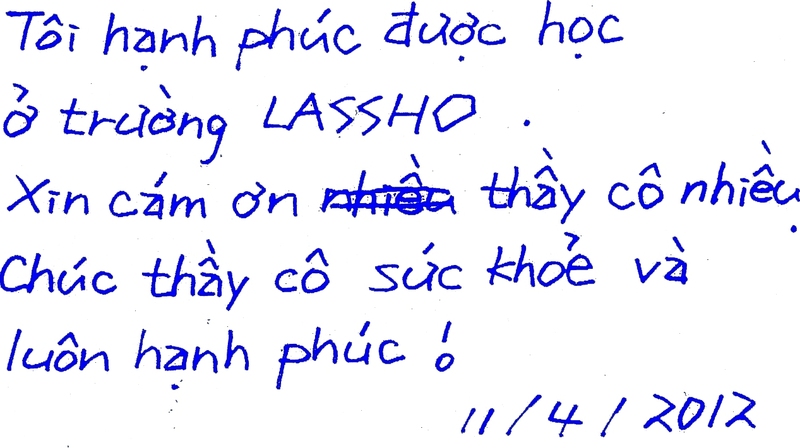 important goals for foreigners when learning Vietnamese. 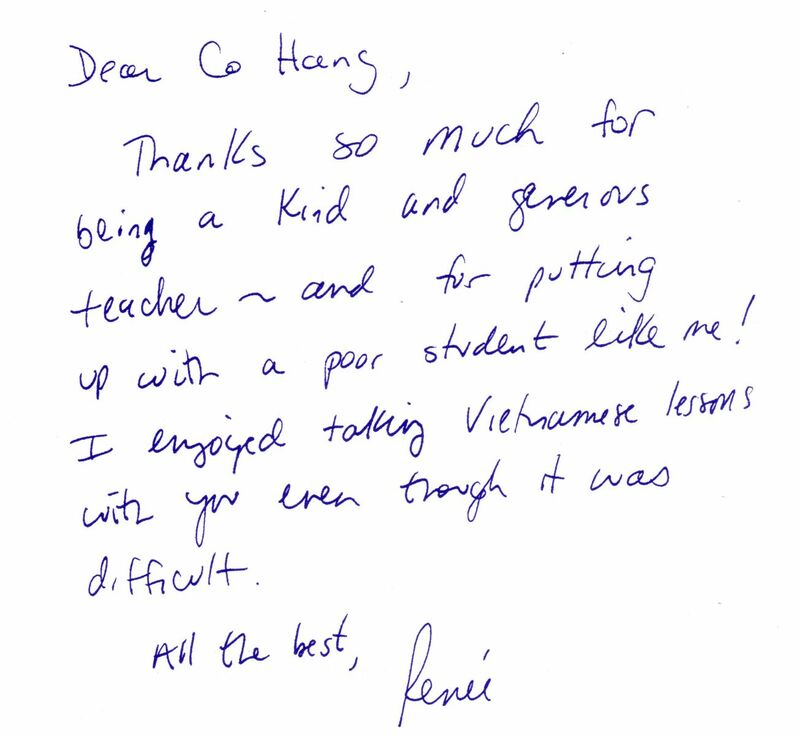 "Ms Thuy was a very focused and attentive teacher. She helped me improve some in my first steps with Vietnamese. I hope to continue learn more and return soon to continue learning this new language. 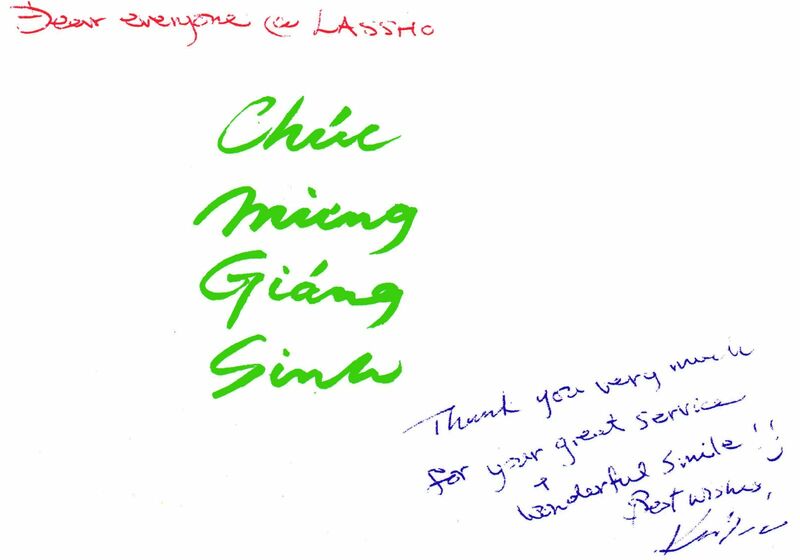 Thanks for the good memories about learning Tiếng Việt." 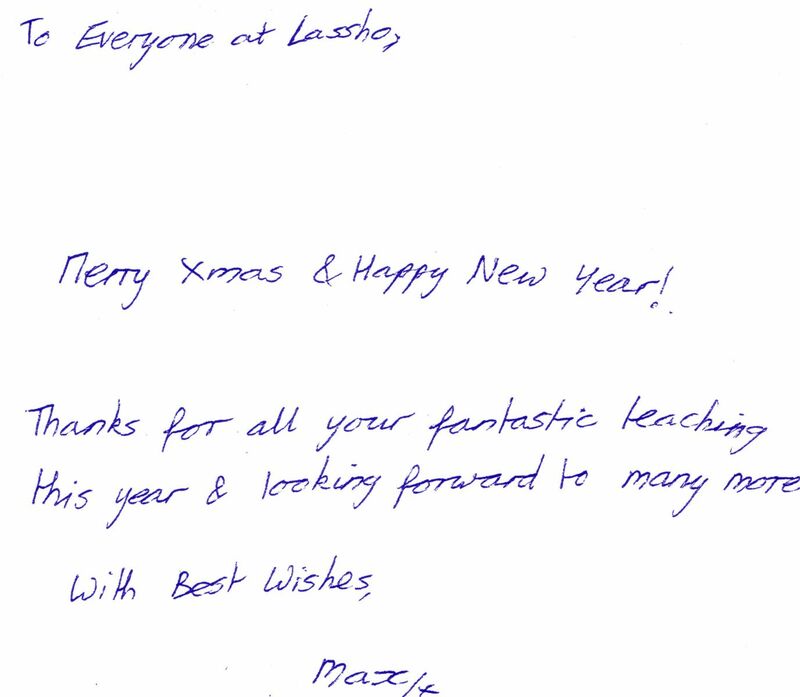 I shall always remember the very pleasant days I spent with my excellent teacher at the Lassho school. Thank you very much for your valuable teacher and kindness. 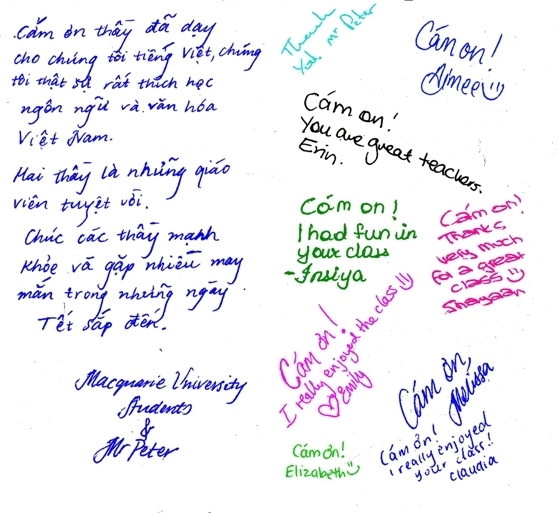 Thank you for all support and help learning me Vietnamese. I have recommended your school to many of my friends.